Social media has changed the way the United States government communicates with its citizens. Microblogging tools such as Twitter have developed beyond the previous regulations for social media created to meet the directives of the Obama administration. 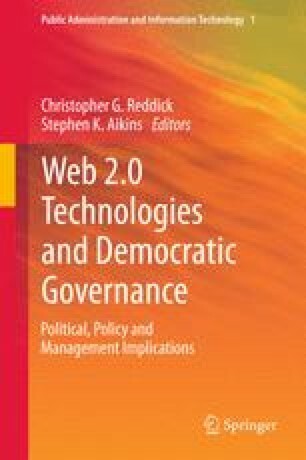 In 2009 the new “open government” movement began a flutter of social networking on behalf of all branches of government. The passage of time has shown that using social media to share information has developed and is being integrated into the methods the government uses to reach out to the community. However, the majority of agencies still have one social media policy for all types of social media tools. The rules that apply to Facebook are the same rules that apply to Twitter. The two social media services are vastly different but regulated the same. It is suggested that policies need to be developed for each form of social media. An analysis was conducted of 23 US government agencies policies and best practices for specifically microblogging to discover who did and did not have a microblogging policy. Results showed the majority of agencies still treat microblogging as a standard form of social media and do not provide individual polices and best practices. Further analysis also discovered what agencies did have a policy for microblogging and advised other agencies without a microblogging policy to follow their example. GovTwit. (n.d.). Retrieved September 13, 2011, from GovTwit Web site: http://govtwit.com/Hopkins, J. Social Networking Tools and Web 2.0—Appropriate Use of Web Technologies. Washington D.C. : National Aeronautics and Space Administration.